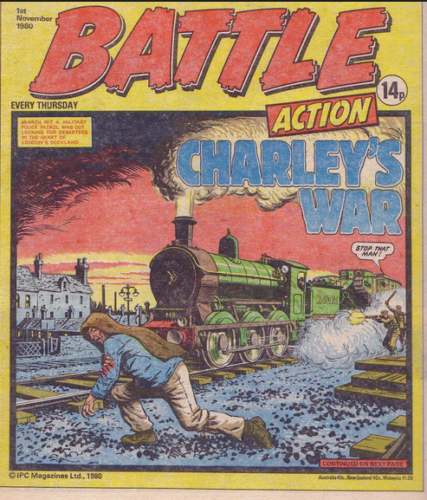 There's a chance here to become the proud owner of a Joe Colquhoun cover for Battle Action. 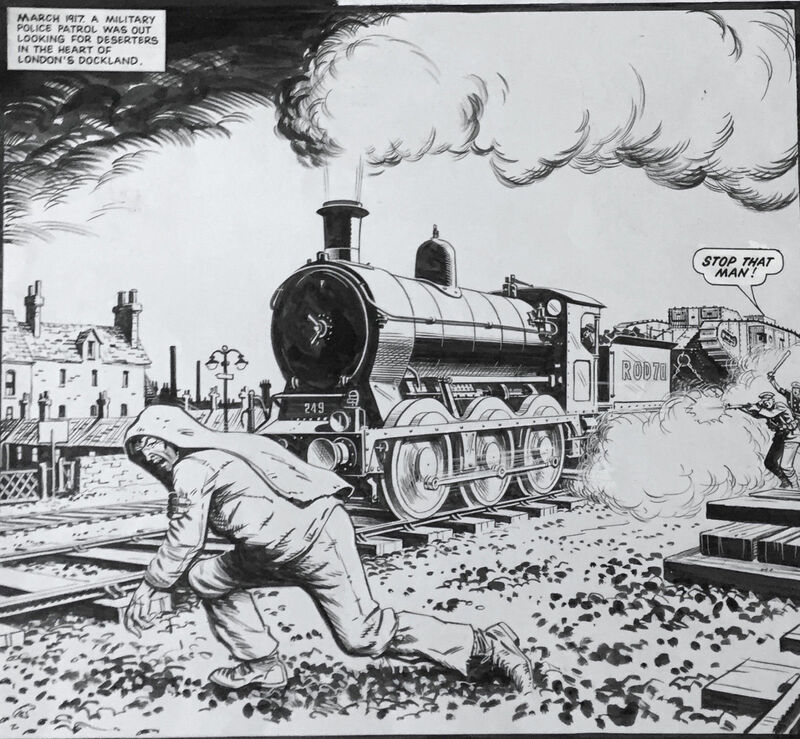 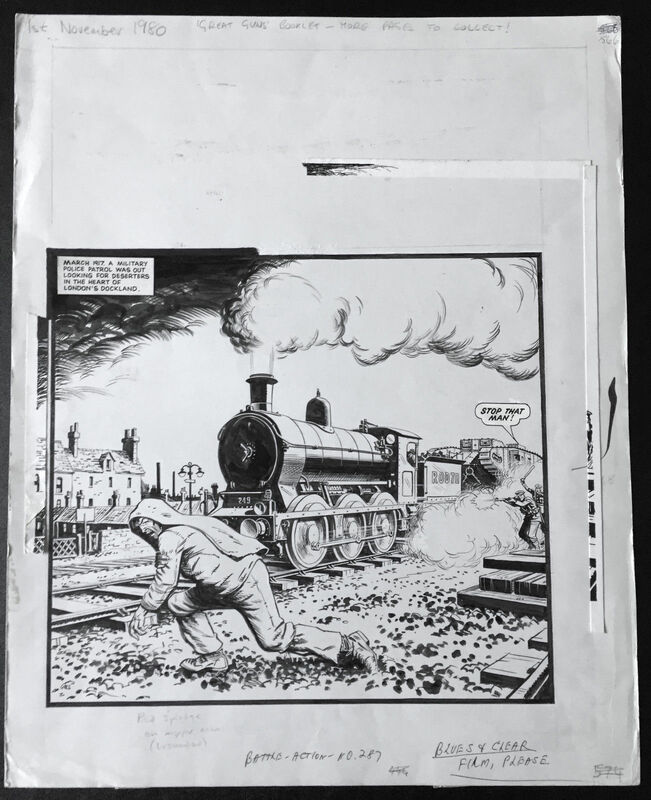 The image doesn't feature Charley Bourne and isn't set in the trenches of France but is still a rare opportunity to own an original piece of this iconic series. 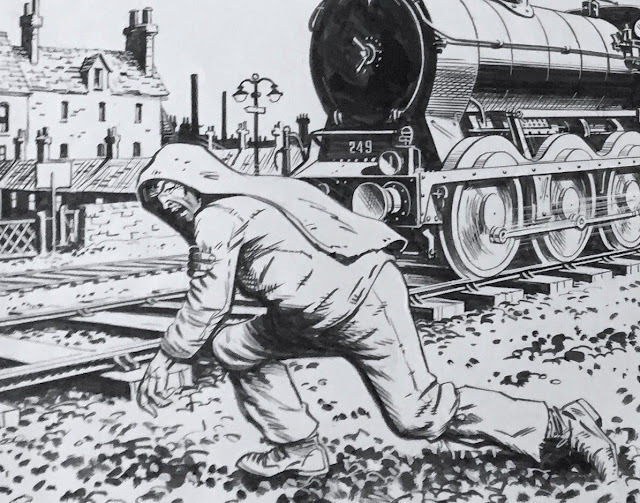 The auction ends just before 8pm tonight, good luck!